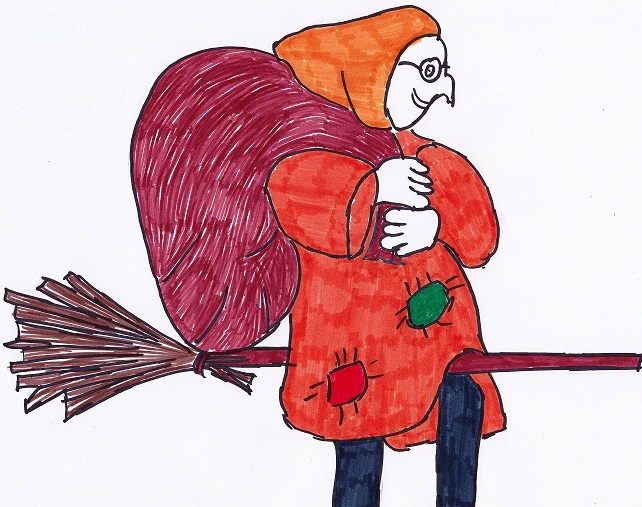 Who or What is La Befana? According to Italian traditions, the three wise men knocked on the door of an old witch-lady and asked her for directions to Bethlehem. They told her about the birth of baby Jesus, and asked her to go with them. She told them that she was too busy. Later, some shepherds knocked her door and asked for directions. They also invited her to go with them, and again she said she was too busy. Later still, she saw a beautiful light in the sky and regretted not going with the wise men or shepherds. She decided to go after them, and so she packed up some presents that had belonged to her own baby who had died, and she went to find this special baby. However, she lost her way and never did make it to Bethlehem to see Jesus. Italians say that she is still looking for him. On the 11th night (5th January) she flies around on her broomstick searching for baby Jesus. 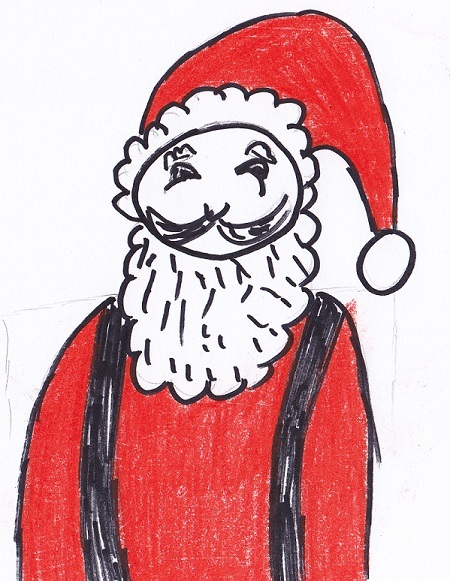 Every time she passes a house with children, she slides down the chimney and leaves presents in their stockings, just in case he is in that house. 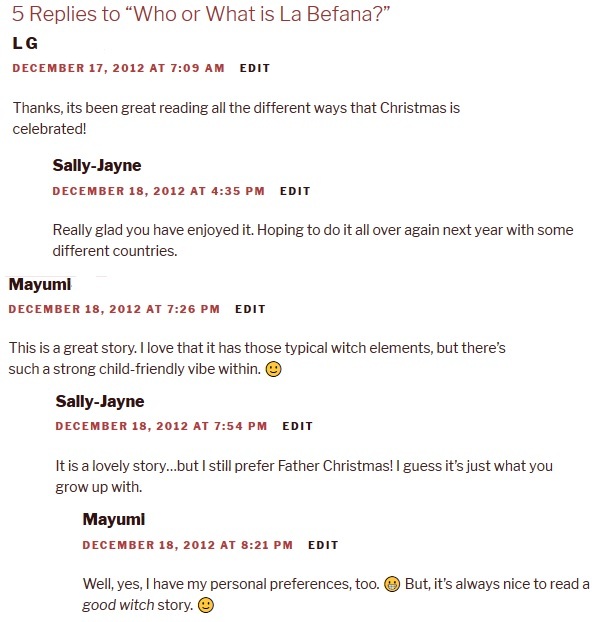 Related posts: How do they celebrate Christmas in Spain? How do they celebrate Christmas in France? How do they celebrate Christmas in Germany? How do they celebrate Christmas in Denmark? How do they celebrate Christmas in Greece? Who is Babushka?